Who knew you could buy oil lamps made out of whopping great chunks of beautiful rock? I certainly didn’t, until I came across Light the Earth. 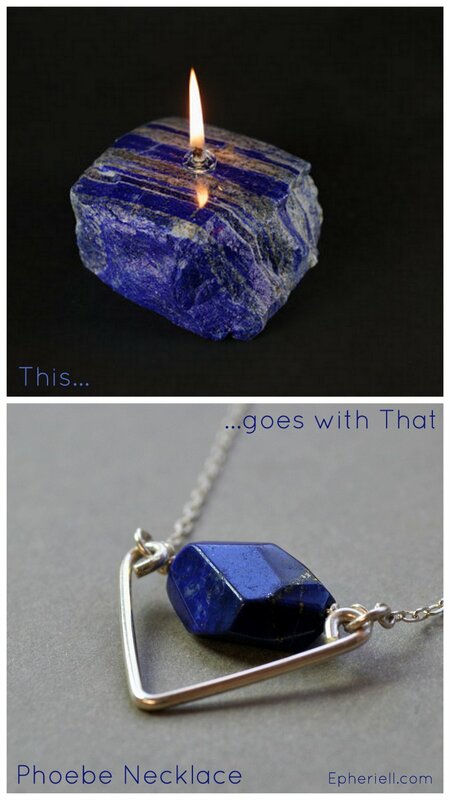 I think it goes nicely with the Phoebe Lapis Lazuli Necklace. Ah, lapis lazuli is SUCH a beautiful stone, don’t you think?